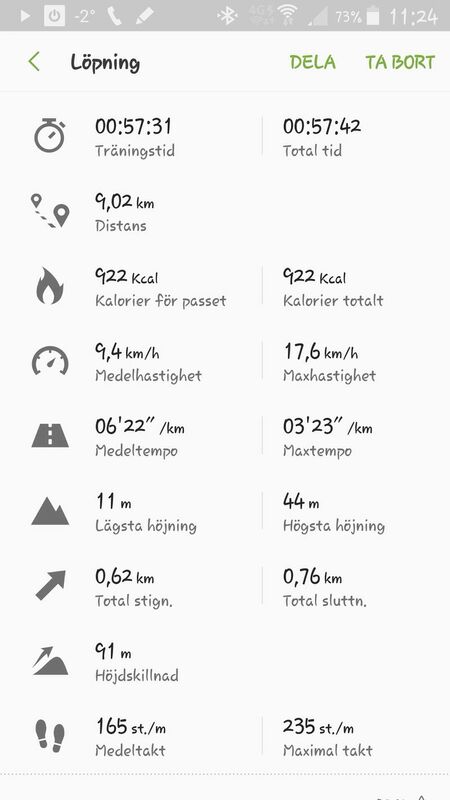 Today I did another longer run, planned to run 10km but due to the icy paths I got super tense in my neck and shoulders and had to give in at 9km. Still a good run despite the problems, and ran the full distance again. I&apos;m surprised and super proud I was able too! Listening to three and a half book during the run, blink styled (Blinkist.com) can really recommend them if you want condensed but yet good summarize to read. Grateful that I on my 15th consecutive day be able to run almost -0 km and run the full distance.